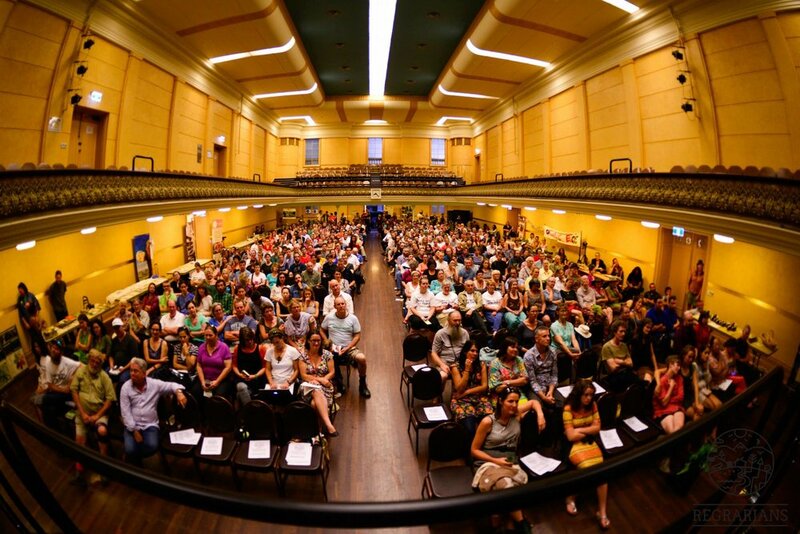 19 February 2015, the Regrarians were able to bring together a myriad of local food motivated producers, chefs and advocates to discuss the future of our food systems and what we need to do to change the way we approach food forever. 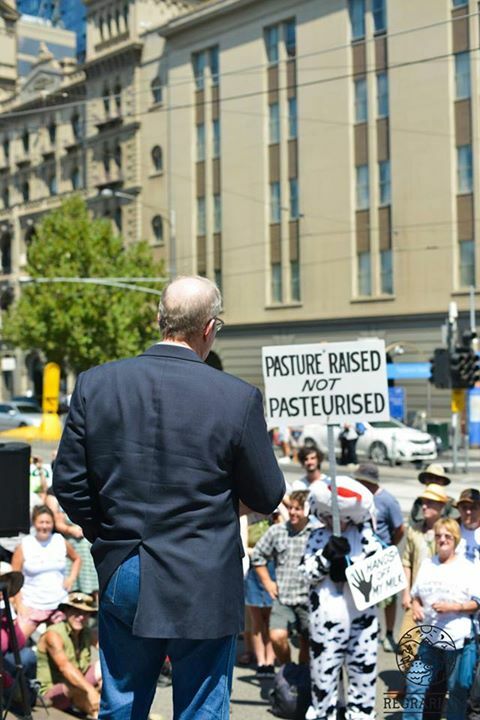 Lorraine Pratley, Reg Matthews, Lisa Heenan, Tammi Jonas, Cyndi O'Meara and Joel Salatin spoke about Raw Milk at the rally on the Victorian Parliament house footsteps. 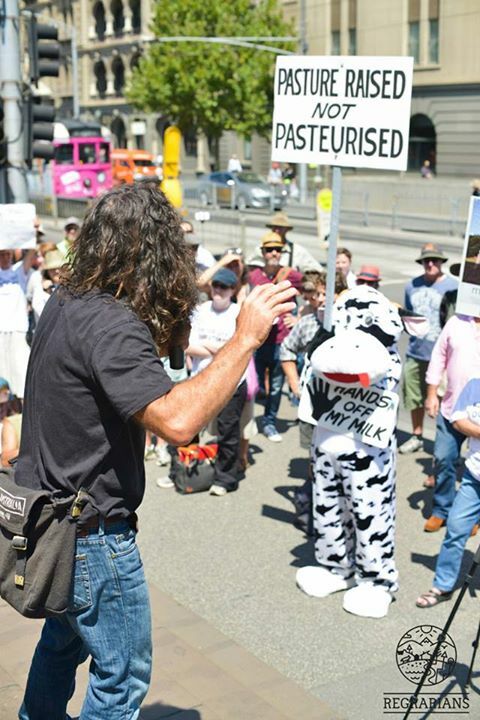 To raise the awareness of what producers are going through due to irrational & out-of-date government regulations, especially when it comes to raw milk/cheese supply, on-farm processing and other direct farmer to consumer compliance issues. The main thrust however was to celebrate producers, chefs & direct farmer to consumer models that best exemplify best practise and what we call the regenerative food system, and secondly discuss how we can be apart of changing regulations so that these innovative producers can make some headway into securing better market access and improve their terms of trade. 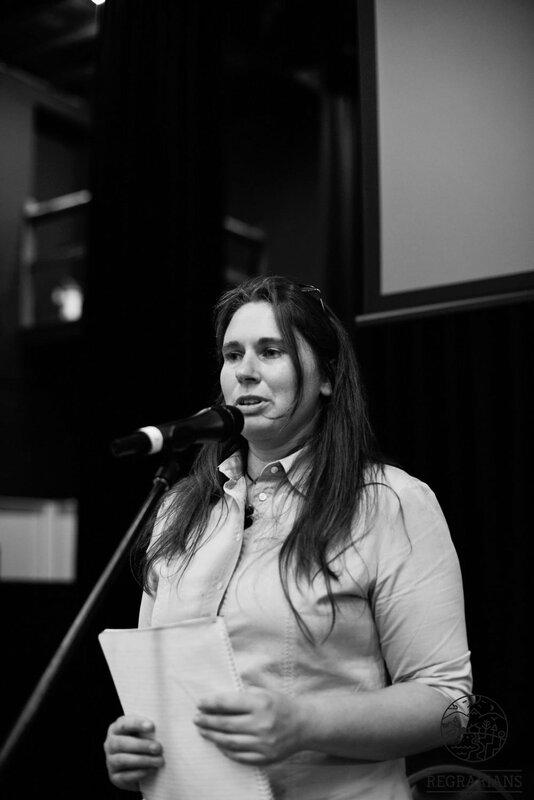 During the evening event, Vicki Jones of Mountain View Organic Dairy in Gippsland Vic, got an opportunity to tell her side of the story, after being the centre of an outrageous media witch-hunt in December 2014. This was over the unproven linkage of her farm's milk products to illness and indeed the tragic passing of a young child. 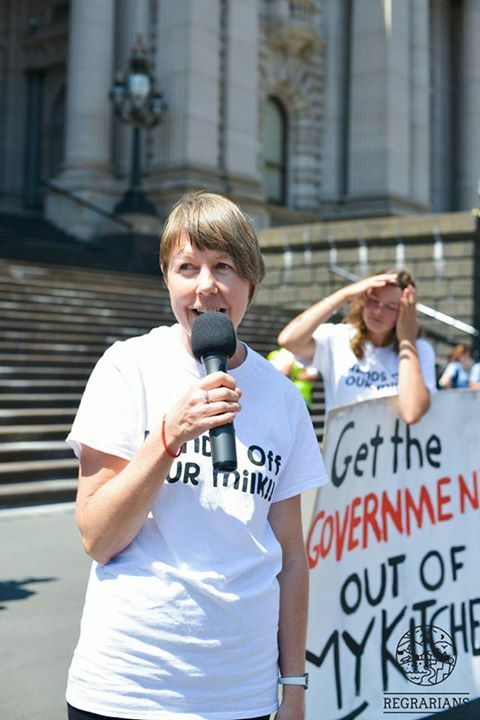 In Vicki's brave speech she discusses not only these events but also those that led her family's operation choosing to convert to organic production, their dairy calf management and treatment at the hand of banks. 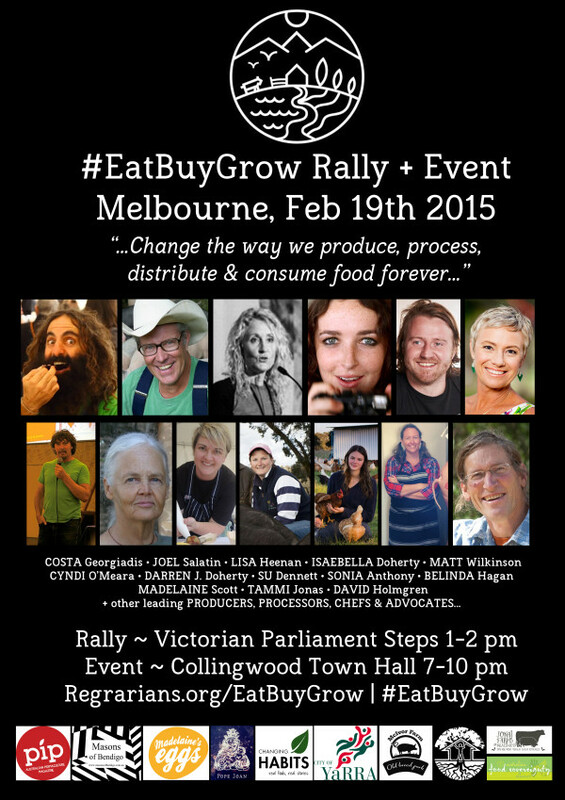 Immediately after her speech, Vicki received a rousing standing ovation from the 450+ crowd at the Eat Buy Grow event at Collingwood Town Hall. Video recording of her speech is below. Read more in the article Time lag in Milk death. Thanks to the Regrarians for permission to share these photos. Watch the complete series of ARMM videos in this YouTube playlist.